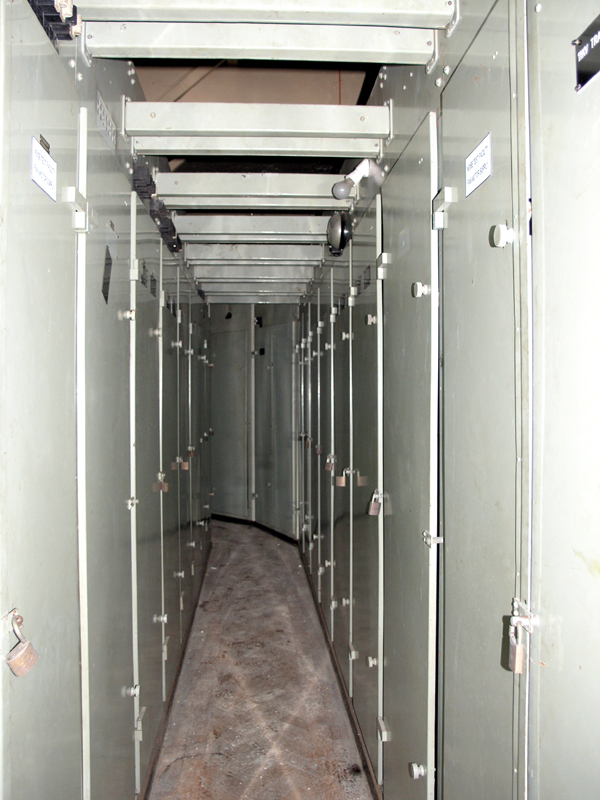 Most of the access doors to the wiring can now be opened, as they're still unlocked since the decommissioning. It is a cramped space with only room for one person at a time to squeeze down. However, it’s a classic feature of the control panels at Pyestock as most have small service corridors behind them, all fitted with access doors for wiring maintenance. Control panel access corridor looking south. The main control room is behind the panels to the left.